Would you like another tool to add to your toolbox for teaching place value? While crafting a new place value resource, I had an aha moment. The result was a built-in learning support designed to help students make explicit connections between the standard, expanded, and word forms of numbers. So, why not keep those creative juices flowing and create a freebie to share with you. The popsicle clipart provided a perfect way to show the relationships between the expanded, standard, and word forms of each digit in a number. Here’s a free activity to bolster your first, second, and third graders understanding of place value concepts. There’s one version for two-digit numbers and another for three-digit. This activity is ideal for providing instructional support in your guided, intervention, or resource groups. Add base ten blocks, as needed, to facilitate understanding. It can also be used as a math station for more independent learners. Choose the color or black/ white version; two-digit or three. Decide how many sets you need. A small group of students can share one set by taking turns. You can also make multiple sets. 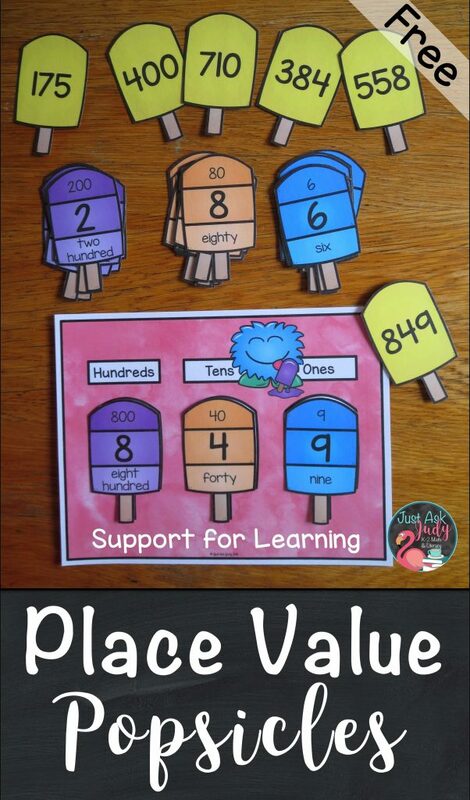 Print the popsicle digit cards, the popsicle number cards, and the digit helper mat. Use card stock and laminate for durability. Cut the cards, as popsicles or rectangles. Make copies of the recording sheet. 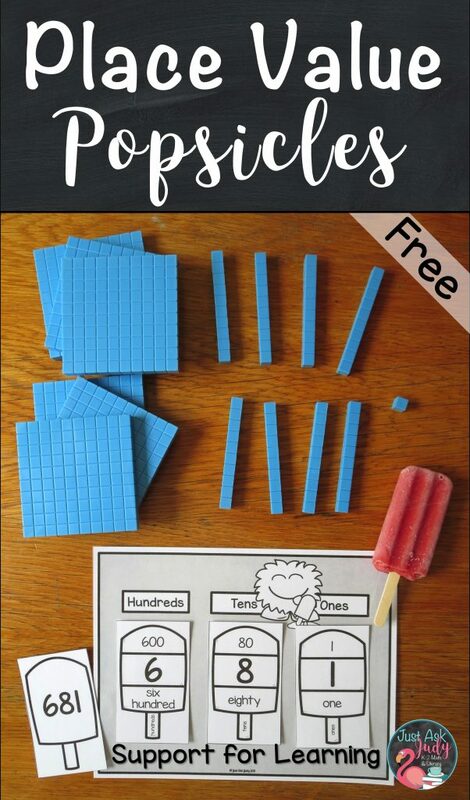 Sort and stack the popsicle digit cards by place. Place the digit cards and popsicle number cards by a digit helper mat. Provide base ten blocks, if desired. Pick a popsicle number card. Build the number with base ten blocks (optional). Put the appropriate digit cards in the correct place on the helper mat. Use the information on the digit cards to complete the recording sheet. For the quick draw on the two-digit recording sheet, students can use lines and dots to represent tens and ones. 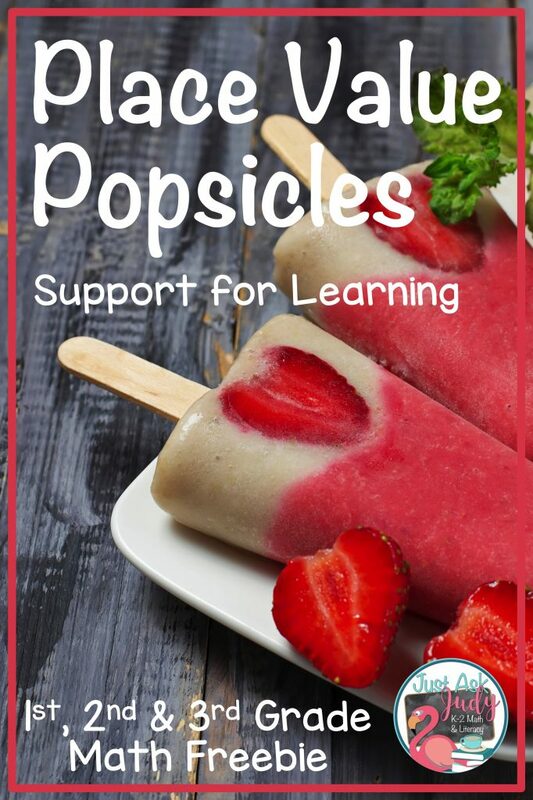 Students needing less support can simply use the popsicle number cards to complete the recording sheet. 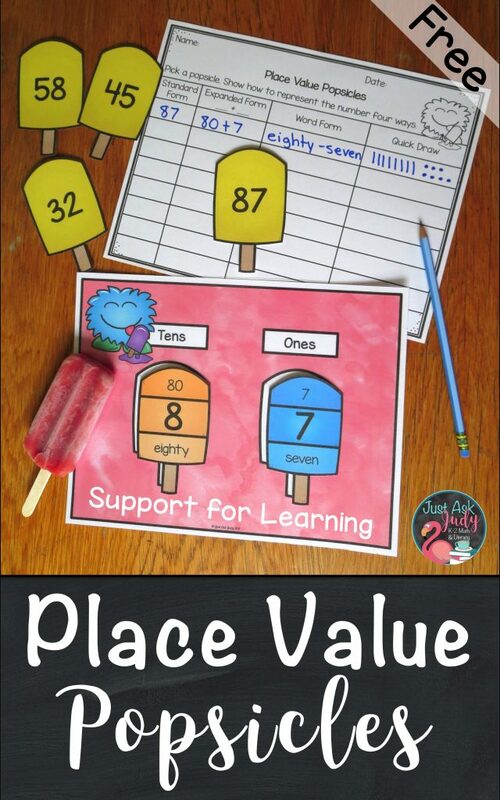 Click on the highlighted words to download the version of Place Value Popsicles that meets your needs; black and white, two-digit color, or three-digit color. Need more resources to reinforce your students’ understanding of three-digit place value? 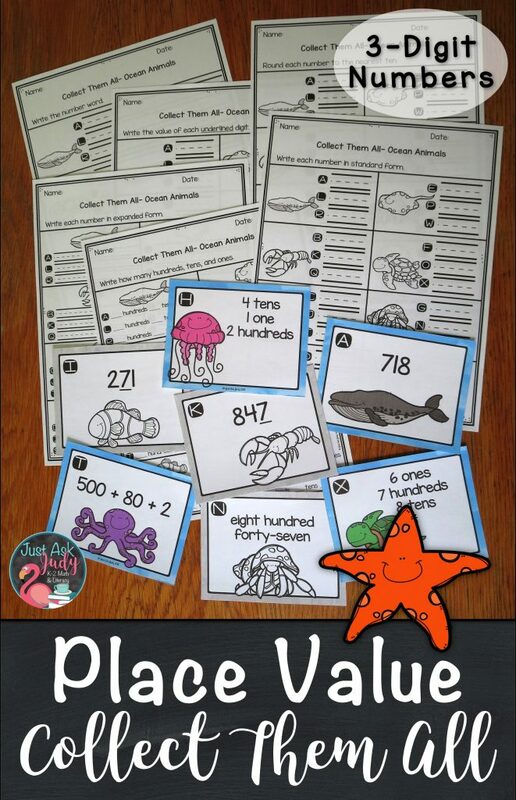 Then check out Ocean Animals Place Value Task Card Activity, the newest addition to in my TpT store. This unique activity includes five sets of task cards along with seven different recording sheets. Look for more Collect Them All task card sets for second grade, coming soon to my TpT store! Simply follow my store to be notified by e-mail.